Today’s Tips Tuesday is a little longer than usual. That’s what happens when I take a week off from reporting the news. The world keeps turning and there are important articles and news to tell you about. As many of you know, I’ve started doing more YouTube Live events. That’s mainly because Facebook has changed their API and my vMix software, along with all 3rd party streaming software, can’t work with that API yet. But I’m liking YouTube Live and plan to move my streams there for the summer, including the return of the BlogAid Live Show. I made a little video showing you how to subscribe and a neat feature that I just learned about, which is how to turn on notifications so that you never miss an event or upload. I had no idea how much I was missing from my peeps. And you know all these blog posts I do with video tutorials, like the UpdraftPlus ones? Well, I upload those videos to YouTube the night before the post comes out. So, with notifications turned on, you’ll get the scoop before anyone else does! Plus, when the channel hits 1000 subscribers, I’ll be able to turn on the Super Chat features, which allows folks to donate for my time. I’ll be doing live Open Q&A sessions when that happens and inviting folks to come on the panel to ask their questions and screenshare too. I really appreciate your support in helping me make this happen!!! In an effort to bump up YouTube subscriptions, and announce upcoming webinars and workshops, I wanted to put a welcome banner at the top of BlogAid. I found a plugin from Icegram that perfectly fits the bill. And it can do way more than I’m using it for. I’m very impressed with this plugin so far. I may do a review on it after I’ve used it for a while and if I get the time, but you should go check it out for yourself now. Yep, I’m bringing it back, and doing it like we did on Blab. All those in attendance will see a link to join me on camera to ask questions or chat live. This first one on Friday will be an open Q&A and a time for me to work out my process for running the live events on YouTube. So, be sure to sign up for the event so you get notification of when I go live too. I’m not sure, but I think you can put the event on your Google calendar. I’ll have to check on that. Later this week I’ll be announcing all the details on a new Workshop or Webinar for how to securely set up a site from scratch. Webmaster Training members will get a significant discount on it too. This is a must have skill for all designer companies. And that’s why I’ll be making this paid event public, instead of just for my Webmaster members. So, if you’ve been hesitating to learn how to do this, or you’re terrified any time you need to touch a database, or you’ve attempted to learn how to do it before but couldn’t find a step-by-step process that you could understand, this is the event for you. If you are a Webmaster member, please be sure to jump on the survey I sent out on Sunday about your preferred meeting days and times. I’m delighted to tell you that all of the new UpdraftPlus tutorials are complete in Level 2 of the Webmaster Training courses! There are 7 tutorials in all, including an extensive section related to the Migrator plugin, (aff link) which is a must have for all designers. And, all site owners can see video tutorials on how to use the free and premium versions too. I’ll have a post for you soon with a review of the Migrator plugin by itself, too. I’m really looking forward to a live session today with all the folks in the DIY SEO course! We’ll be going over the recent survey they completed about new tutorials and meetings and support and such too, to help expand the course. I’ll see y’all on Zoom at 1pm ET / 10am PT. Zapier is the Bomb for connecting apps!!! I also hope you got to see my enthusiastic BlogAid Today livestream last week. I made it right after I finished testing a custom Zap that I had made on Zapier for connecting ScheduleOnce, which is my online booking calendar to Zoom, which is now what I’m using for meetings instead of GoToMeeting, and then to Gmail for sending the client all the meeting info. And the Zapier support department is stellar!!! They were fast to respond to help me work out the details with the Zoom part of things. Well, the nice folks at Zapier saw my livestream and sent me a T shirt as a thank you!!! I’ll be modeling that for you when it gets here. Next, I’ll be working with the nice folks at Zoom to make their Zapier integration a little better. Let me know if you need help setting up a Zap. It’s a super pro tool to have, but it can be a little tricky setting up a custom one for the first time. I’ve been closely following the bug report on the new rich Text Widget in WordPress 4.8. There is yet another plugin that attempts to fix the issues caused for some HTML and other code in the text widget to get stripped out. You can install it before upgrading to 4.8 and it flips a switch on when it auto detects your upgrade to 4.8, which activates the part of the plugin that keeps the new rich Text Widget from opening in Visual mode by default and stripping your code. I would test this on a sandbox site before trusting it with a live site, though. Beyond that, there is only talk about promoting this issue to a major bug. There is absolutely nothing about it on the main dev site, so I don’t know who, if anyone is addressing it and no idea if a fix is in the works or not. For now, I continue to hold off on updating BlogAid, although I had no issues with it on my sandbox or other sites. That’s probably because I don’t use the kind of code that gets stripped out. And, as far as I know, there are no security issues with not updating at this time either. If one pops up, it will likely be retroactive to WP 4.7 as well. Two Tips Tuesday’s ago I reported on the underlying reasons the devs are leaning toward the React framework, not the least of which is that it is the one adopted on WordPress.com. But, there are two hesitations with using Vue. First, it’s not as extensible as React. Second, the whole thing comes from one developer who has no corporate funding behind him. In fact, he’s financing the whole thing via donations on Patreon. That’s a little scary. There is only one main hesitation with using React. It’s backed and licensed by Facebook. That’s a two-edged sword. Backing by Facebook means stability and it has already experienced wider adoption than Vue and is more extensible. But here’s the other caveat. So, we’ll see how this plays out. But my money is on React and we will all have to hold faith that Facebook does no evil with it. Loading a WordPress page or post is a resource intensive process, and that’s before any of your content or images even show up. The folks over at WPBeginner have put together a step-by-step view of what happens when a page or post on your site is requested. 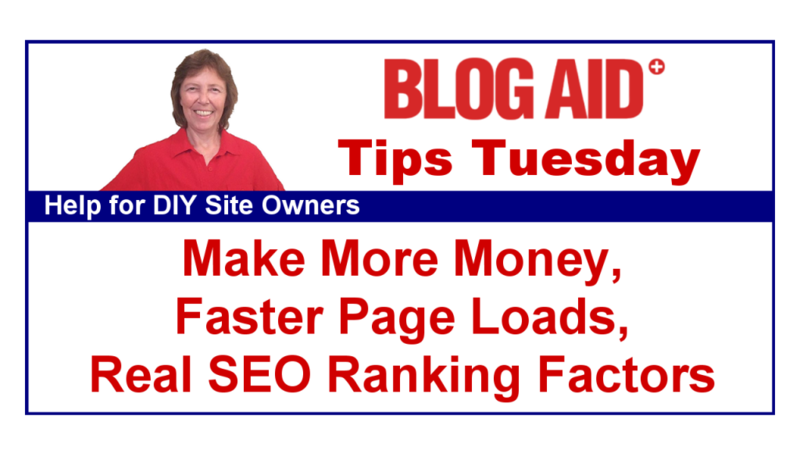 This is a must read for all site owners and webmasters. This process doesn’t just happen when a human visits your site. There are all kinds of bots, both good and bad that open an instance of WP while they do their business too. Add to that any plugins you have that require an instance of WP to open before they can work too. And those plugins take a toll on your database as well. All of this slows down your page load speed. And that leads to more humans abandoning your site before they ever see anything. And that means you make less money. The problem is, you can’t see any of this happening from just logging into the admin side of WordPress. It takes digging deeper into your hosting account and other testers. That’s what a site audit is all about. I spend most of my time gathering data from beneath the level of WordPress, where all of the action is actually happening. On average, I find 26 security and performance holes. If you could see your site like I do, it would look like a roach infested apartment. So, go read this post from WPBeginner, and get a glimpse of what’s really going on with your site when a page or post loads. And then multiple that by 10,000. Because that’s what’s really happening when you add in the bots. You’ll see why it’s so important to call an exterminator to put a stop to the problems. Here’s another must read for all site owners. The folks at SEMrush conducted an independent study of 600,000+ keywords from various local databases and then applied their findings to the 12 most prominent and controversial SEO ranking factors. In other words, they gathered real data on the ranking factors most site owners think are important to see if they really are or not. For all of you who are still stuck on keywords as a main ranking factor, read this post. If my SEO workshop didn’t open your eyes wide about using outdated SEO tactics from 2013, this will. Take a super hard look at just how far down the chart keywords are, and how little impact they have. The keyword in the title and throughout the content had almost no bearing on ranking. Look at what did impact SEO. Does all this mean that keywords have no place in SEO? Of course not. And they are likely more important for sites the size of the ones me and you have, compared to something like The New York Times. But, the point of this is for you to start considering the other super heavy ranking factors and what it will take to make the most of them. Your SEO can’t be only about keywords anymore. I had a site audit client that was getting 10k visitors to her site a day. Yet, she wasn’t earning anywhere near the ad revenue her blogger peers with the same traffic were getting. That’s because it took 40 seconds for her posts to load. Visitor’s left before they saw anything. She was also constantly getting notifications from her host that they had temporarily shut down her site for overages. Think about what a downturn in revenue you would have if 10,000 of your visitors saw a site that wasn’t available. The only fix the host offered was to increase her hosting package. So not only was she losing revenue from visitors, but her monthly hosting costs were going through the roof. Her site audit revealed that her site was being chewed alive by bots, she had no image optimization, and that her human visit abandonment rate was 80%. So, her hosting resources were being used mainly by non humans. And then the humans that did visit were leaving after 20 seconds or less, meaning that they never saw her content, much less the ads that pulled in the revenue. And her return visitor rate was only 20%. That means that 80% of her visitors not only left before seeing anything, they never came back. Think about how hard she had to work to get 8,000 new visitors a day to earn the little that she was getting in ad revenue. We fixed all the site security and performance issues. She got rid of most of the ads and only kept the most profitable ones. She learned how to optimize her images and got bulk image optimization for all previously uploaded images. We cut her load time to 12 seconds, with the majority of the page loading in under 5 seconds. Plus, we cut her hosting costs by $400/yr. And now she is building tribe and earning money from her site and saving money on her hosting. Plus, now all the work she was doing to get 10k visitors a day is turning into 20k/day because she has so many repeat visitors. How much would you pay to significantly increase your income? My site audit clients pay around $300-$400 to get an audit and fixes. Rarely does anyone go over $500. If you could earn that back in one month, would it be worth it to you? When you look at the two posts we just mentioned, for performance and SEO, one thing becomes crystal clear. If you want to make money with your site, investing in things that make it perform well pays for itself. If you’re not investing your time and money that way, then you’re doing what my 10k visits a day client was doing. You’re on a hamster wheel from hell, working yourself silly to get nowhere meaningful. One of the biggest bangs for the buck you can get to speed up your site is proper image optimization. The nice folks over at Proteus Themes have put together a guide on different image compression techniques. Scroll down and have a look at the charts for what works and what doesn’t. If you’re using a plugin like EWWW or SmushIt, take a look at just how ineffective they are. On top of that EWWW chews the heck out of your database, making it bloated and slow too. Now, that post from Proteus Themes is a good comparative study on different compression techniques. But if you want the low-down on how to actually do great image optimization, see this post from Mary Iannotti of Digital Marketing Deva. Be sure to scroll to the bottom to opt-in and receive the full tutorial guide. It takes you through every worthwhile app and software available to fully optimize your images. It is, by far, the best set of tutorials I’ve ever seen. Once you learn how to properly optimize your images prior to upload, then you’ll want to draw a line in the sand and have all images prior to that date optimized in bulk. It’s a very inexpensive thing to have done, about $0.04 per 100 images. The reason you want to have this done as a service in bulk is that copies of your images are taken out by the month, optimized, then put right back where they were. This retains the links, which is critically important. If you upload a newly optimized image to replace the old one, the link will be different, and that will make all the images you’ve promoted on social media break. So, definitely a service worth paying for. Hi MaAnna, Do you have bulk image optimization services now? Just wondering, since it was not available back when we did our site audit with you last year. Would be interested in a quote. Thanks! Yes, Bernie, I have a new team member for bulk image optimization. I’ll send you an email with more details.